The line belongs to Clint Eastwood in the 2008 movie Gran Torino, but it would sound equally appropriate coming from Evan Gabriel, the hero of Steve Umstead’s sci-fi trilogy. Any villains reading this review, take note: there are some guys who should be left well enough alone. And Mr. Gabriel is one of them. 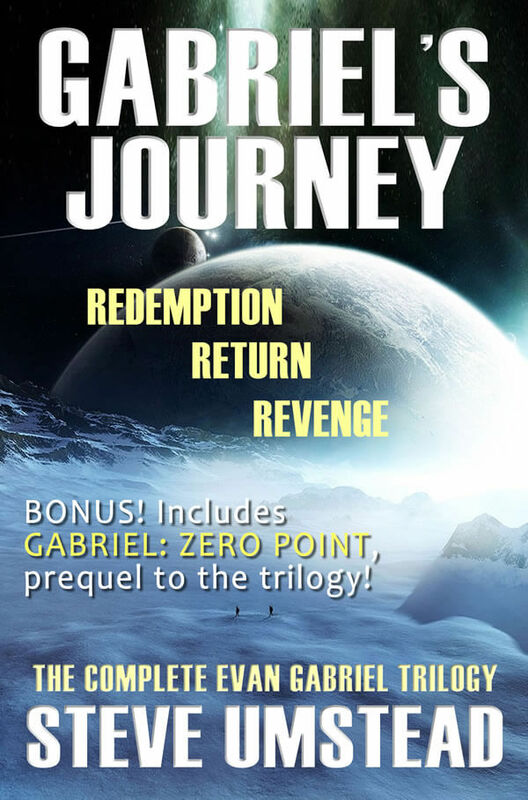 The first book of the Evan Gabriel Trilogy, Gabriel’s Redemption, serves as a worthy introduction to the title character, a disgraced North American Federation Navy Commander with a chip on his shoulders. When a Special Forces team is placed under his command and dispatched to a distant ice-bound planet, Gabriel sees it as a chance to redeem his name. But of course, things are never as easy as they seem; there wouldn’t be much of a story to tell otherwise. Book two, Gabriel’s Return, follows our hero as he journeys to the world where he lost his naval command (and his original team) so many years ago: Eden. Facing a well-armed terrorist group, the dangers of the planet itself, and his own haunting memories of the past, his work is clearly cut out. Events come to a head in Gabriel’s Revenge. Upon returning from Eden, Gabriel finds Mars in a state of political turmoil. Two major dome cities have been seized by some of his most ambitious enemies, and the very existence of the planet is threatened as rival governments argue behind closed doors. I won’t spoil anything for you; suffice it to say, Gabriel is looking for closure, and he won’t let anyone or anything get in his way. I always approach new authors with a bit of trepidation, but Steve Umstead impressed me from the get-go. His prose is consistent and surprisingly smooth – I never got the feeling that he was still looking for his “voice”. I won’t say the writing is flawless, but two things are certain: 1) the guy knows how to spin a good yarn, and 2) I had fun reading it. 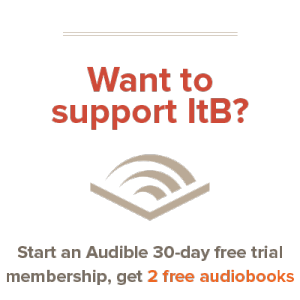 The trilogy’s blend of military action, interstellar travel, and political intrigue struck me as something Tom Clancy might write if he ever did sci-fi. Coming from an ardent Clancy fan, that’s a compliment of the highest order. The pacing throughout is stellar, the characters work well together, and there’s some genuinely great dialogue between them. And let’s not forget the action, because Umstead has that part nailed down tighter than a good metaphor for something nailed down really tight. *cough* If futuristic firefights are your thing, you’ll find some of the best right here, in these books. Evan Gabriel is, simply put, a great hero. A guy you can actually get behind. His character – battered, bruised, and sometimes barely breathing, as he battles both terrorists and politicians – is one readers can really cheer for. His character arc reminded me ever so slightly of Jason Bourne’s, because at the core of each is a lesson for the ages: mess with a human weapon, and you’re going to wish you hadn’t. One of the best things about the trilogy, however, is its restraint. Many of today’s writers labor under the impression that explicit sexuality is a necessary ingredient of modern fiction – Umstead is not one of them. Similar moderation is shown in the use of profanity; while I don’t have a problem with language in certain contexts, I do have a problem when it’s used as a crutch, because the author can’t find a way to express himself more creatively than to have his characters spit out the F-word. Kudos to Umstead for proving that dialogue doesn’t automatically require colorful expletives to be engaging. The entire trilogy is currently available on Amazon for $8.99 (Kindle format). That’s a steal, if you ask me. Pick it up if you have any interest in a fast, furious, and throughly fun ride through the outer reaches of space. You won’t regret it.